Neuronspoiler are a band that has a lot to offer the metal world, hailing from the UK, the home of metal, the band continue the journey that began with their debut album released in 2013. 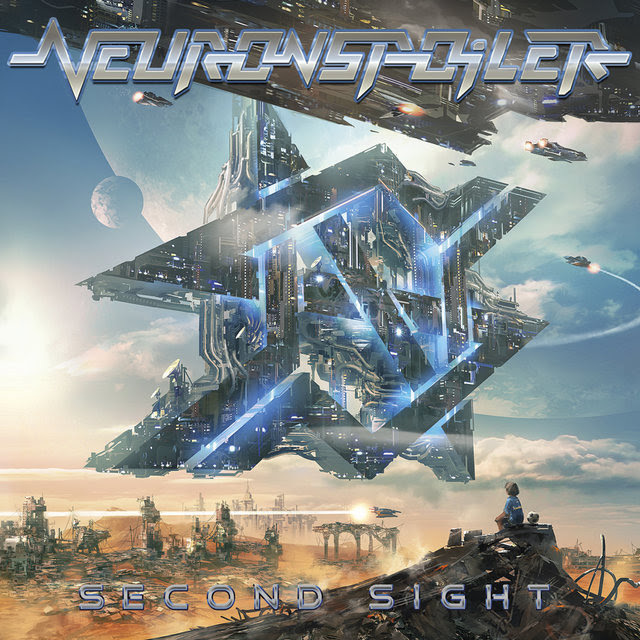 Second Sight is an aptly titled album and one that is sure to leave you speechless and wanting more. Reclaim Your Path is the opening song on the record, it begins with a fast arpeggiated riff, before moving into riff roaring territory, seemingly about seeking what you want, and getting back on course, duelling guitars add to the epic feel of the song. Slay The Beast has drawn attention for sounding similar to Maiden, and the influences are there, duelling guitars, soaring vocals, and a bass line that would make Steve Harris green with envy. This Is Revolution is a fast riff based song, that carries the weight of defiance to it, and standing for one’s own principles. The Brave One begins with a clean guitar intro that sets the template for the melody, the heaviness of the song and and that sense of endurance present within the lyrics makes one thing this is a live classic already. Queen Of Darkness is heavy, filled with swagger, and gritty vocal lines that speak to the heaviness present within all of us, a song that has to get a live airing. Hidden Agenda is a rocker of a song, seems that Jerome, the vocalist for Neuronspoiler is looking to find out what lies behind the words people say and why. Heart Of A Lion, is a rocker, fast and moving, another song that deserves multiple plays. Murder City is a fitting closing track, slow beginnings with big choruses and anthemic vocal hooks, this is a song that sums up the record incredibly well. With Second Sight, Neuronspoiler have a hit a gold mine. The album packs a punch and is sure to be a favourite of the band’s fans. For new fans as well, mark the date down, the new album comes out on 21st October, and for an album this good, it deserves nothing but complete respect. What inspired the name of the band? What are your influences? How do you approach recording an album and writing songs? Is there a song from the new record that holds a special place for you? As a upcoming band, how do you view the music industry?